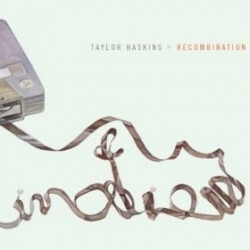 Trumpeter Taylor Haskins’ most recent CD is Recombination (Nineteen-Eight Records, 2011), a companion piece to American Dream (Sunnyside, 2010). In this interview, Haskins talks about the complex vision of American that led to both records; why his website features a quote from Krishnamurti on the homepage; and how his work in the world of commercial music influences his approach to song form and his sonic palette. Learn more at www.taylorhaskins.com. Tracks used in this episode: (from Recombination) Morning Chorale; Here Is The Big Sky; Upward Mobility; (from American Dream) Theme From Dead Man; Black Boxes; Pyramids; (from Recombination) Forgotten Memory of Something True.